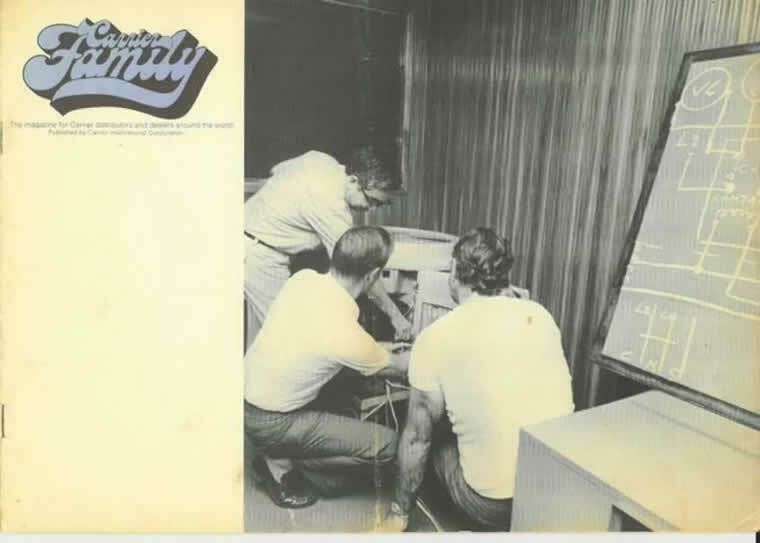 Electroklima was founded in 1979 as a technical and commercial company. The company is active in the A/C, Heating and Ventilation sector since it first started untill today with its main targets fine constructions and high quality projects that both provide the greatest possible comfort and economy to our customers. 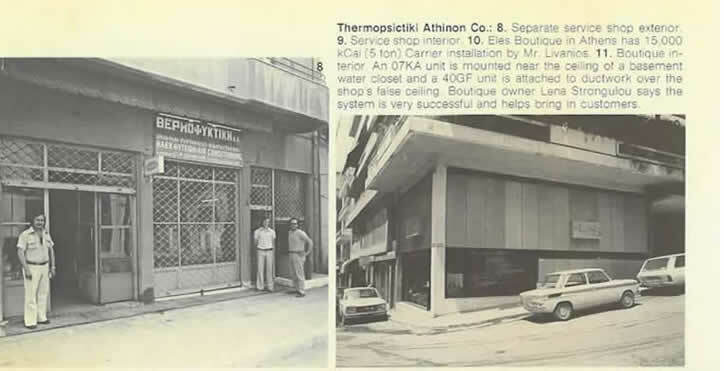 Internal Carrier mag from 1976 which includes the founder of Electroklima Mr. Batalia Athanasio for the hellenic department. Main activities of the company are the central and semi-central Air conditioning systems of various types and sizes. Our long experience has given us the ability to design, choose and evaluate the existing systems so as to propose the best solutions to the customers. The technician and the engineers in the company constantly update their knowledge and skills with educational seminars so as to handle all aspects of projects with fully qualified personnel. The company has a great experience in installations of old classic buildings, modern buildings, swimming pools, gyms, Hospitals etc and it is also capable to provide service and maintenance contracts for all kinds of installations. Electroklima today represents Airedale International, which gives us the ability to further expand our position in the Greek market based on the advantages the Airedale units have and the high technology they include. 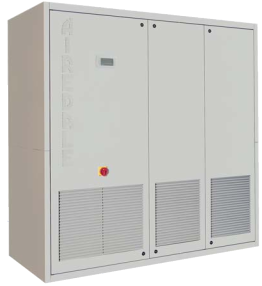 Airedale has a full close control units range and chillers range of the latest technology with sizes from 4KW up to 1000KW with integrated free cooling capabilities and various communication options. Since 2000 electroklima has entered the BMS sector in the Greek area with modern systems that use the Lonworks technology for the creation of open system networks of many different vendors. Our company has cooperated with many known manufacturers of BMS systems which give us the opportunity to evaluate each system and provide our customers with the most suitable solutions. Specifically our company has installed a LAN in it's offices in hold for incoming dial up connections from the controllers of various buildings, which through their modems they report alarms. In this way we have succeeded in fully automating the service and maintenance process and acknowledge alarms that have yet had an effect on the tenants. For more information you can visit our projects link where you can find a small description of some of our projects and also pictures from various installations made by Electroklima.